My research focuses on ecosystem-level biogeochemistry, forest ecology, and watershed analysis. 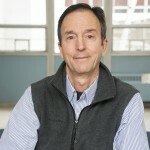 Specific interests include element cycling patterns and processes, comparative soil chemistry in forest ecosystems, linkages between terrestrial and aquatic ecosystems, organic matter cycling and decomposition, chemistry and role of humic acids in forest ecosystems, land-use effects on water quality in large river systems, effects of air pollution, acidic deposition on forested watersheds, carbon cycling, and global change. Parr, T.B, C.S. Cronan, T. Ohno, S.E.G. Findlay, S.M.C. Smith, and K.S. Simon. 2015. Urbanization changes the composition and bioavailability of DOM in headwater streams. Limnology & Oceanography: in press. Meyer, S.R., M.L. Johnson, R.J. Lilieholm, and C.S. Cronan. 2014. Development of a stakeholder-driven spatial modeling framework for strategic landscape planning using Bayesian networks across two urban-rural gradients in Maine, USA. Ecological Modelling 291:42-57. Meyer, S.R., C.S. Cronan, R.J. Lilieholm, M.L. Johnson, and D.R. Foster. 2014. Land conservation in northern New England: historic trends and alternative conservation futures. Biological Conservation 174: 152-160. Lilieholm, R.J., S.R. Meyer, M.L. Johnson, and C.S. Cronan. 2013. Land conservation in the Northeastern United States: an assessment of historical trends and current conditions. Environment: 55(4):3-14. Cronan, C.S. 2012. Biogeochemistry of the Penobscot River Watershed, Maine, USA: Nutrient Export Patterns for Carbon, Nitrogen, and Phosphorus. Environmental Monitoring and Assessment 184: 4279-4288. Cronan, C.S. 2009. Major cations in freshwaters: Ca, Mg, Na, K, and Al. Ch. 93, pp. 45-51 in Gene E. Likens (ed) Encyclopedia of Inland Waters. Volume 2, Oxford – Elsevier Publishers, NY. Briggs, N.A., R. Freeman, S. LaRochelle, H. Theriault, R.J. Lilieholm, and C.S. Cronan. 2008. Modeling riverbank stability and potential risk to development in the Penobscot River estuary of Maine, USA. Seventh International Conference on Environmental Problems in Coastal Regions, Wessex Institute Online Library. Lilieholm, R.J., D.D. Hart, K.P. Bell, S.A. Sader, G. Zydlewski, C.S. Cronan, and N. Briggs. 2007. Alternative futures for the Penobscot River Watershed: a collaborative approach to sustainable resource use. Proceedings of the Conference on Emerging Issues Along the Urban/Rural Interface. USDA Forest Service. Driscoll, C., D. Whitall, J. Aber, E. Boyer, M. Castro, C. Cronan, C. Goodale, P. Groffman, C. Hopkinson, K., Lambert, G. Lawrence, and S. Ollinger. 2003. Nitrogen pollution in the northeastern United States: sources, effects, and management options. BioScience 53: 357-374. Morse, C.C., A.D. Huryn, and C.S. Cronan. 2003. Impervious surface area as a predictor of the effects of urbanization on stream insect communities in Maine, USA. Environmental Monitoring and Assessment 89: 95-127. Cronan, C.S. 2003. Belowground biomass, production, and carbon cycling in mature Norway spruce, Maine, USA. Canadian Journal of Forest Research 33: 339-350. Driscoll, C.T., G. Lawrence, A. Bulger, T. Butler, C. S. Cronan, C. Eager, K. F. Lambert, G.E. Likens, J. Stoddard, and K. Weathers. 2001. Acidic deposition in the Northeastern U.S.: sources and inputs, ecosystem effects, and management strategies. BioScience 51: 180-198. Cronan, C.S., J.T. Piampiano, and H.H. Patterson. 1999. Influence of land use and hydrology on exports of carbon and nitrogen in a Maine river basin. Journal of Environmental Quality 28: 953-961. Lytle, D.E. and C.S. Cronan. 1998. Comparative soil carbon dioxide evolution, litter decay, and root dynamics in clearcut and uncut spruce-fir forest. Forest Ecology & Management 103:123-130. Cronan, C.S. and D.F. Grigal. 1995. Use of Ca/Al ratios as indicators of stress in forest ecosystems.Journal of Environmental Quality 24:209-226. Cronan, C.S. 1991. Differential adsorption of Al, Ca, and Mg by roots of red spruce (Picea rubens Sarg.). Tree Physiology 8:227-237. Cronan, C.S. and C.L. Schofield. 1990. Relationships between aqueous aluminum and acidic deposition in forested watersheds of North America and northern Europe. Environmental Science and Technology 24:1100-1105.